As Pakistanis, we have a tendency to overlook events that are not part of our political scenario. When Israel resumed its onslaught on the people of Gaza, social networking sites became a medium of protests from around the world. But in Pakistan, there were mixed reactions. Some were quite exasperating, to be honest. Despite hearing the news about Israeli jets hovering over Gaza like death angels, carrying out experimental strikes on local residents, some Pakistanis have been quite thick-skinned. There were those who disregarded the issue as an international dispute, while others felt that Semitism is the root cause of the conflict, although both Arabs and Jews are Semites. 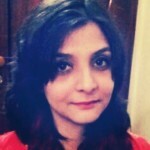 But the most juvenile counter arguments I found were the ones which revolved around Pakistan’s internal problems – how can the people of a factitious state make an external dispute their primary concern? As South Asians, and because Pakistan is geographically detached from the Arab World, we have a tendency to overlook events that are not part of our political scenario. Although we are all inhabitants of the same continent, we tend to acknowledge affairs that are purely territorial; anything beyond our border is considered extraneous. In these past 13 years, Pakistan has disassociated itself from the rest of the world, which has somehow given birth to a lot of isolationists. 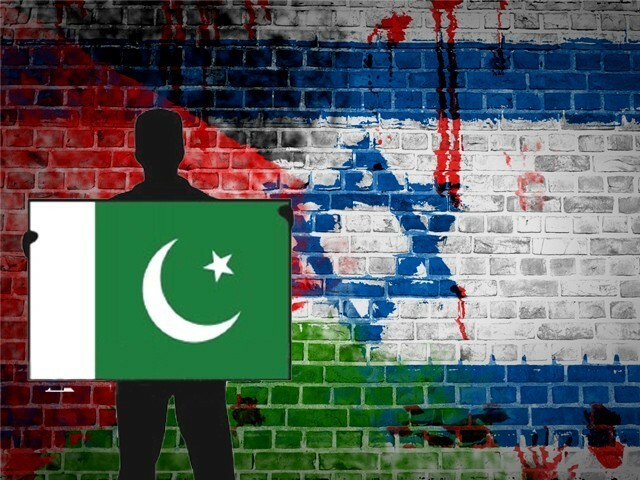 Since Israel started to act as an uncontrollable reaper, ruthlessly slaying Palestinians in the name of ‘self-defence’, there was a sudden eruption of pro-Palestine activism in Pakistan. However, Pakistanis sometimes equate this vigorous advocacy with hypocrisy; we disconnect ourselves from the harsh realities of our own country. Even though Pakistani intellects and media personnel have targeted every adversity that befell us, our slight diversion from domestic conflicts makes us ‘insincere’. This should not be the case. No doubt, Pakistan has been a witness to some of the most heart wrenching tragedies in its almost 68 years of history, but during this time period, Palestinians have been reminded by Israel that they are victims of uninterrupted segregation and persecution. Pakistanis, on the other hand, do not have armed tanks rolling on their streets, targeting areas with imprecision nor do they have soldiers thumping on their doors, relentlessly dragging out individuals from each family. Pakistan is a sovereign nation, with an established leadership. In case of Palestine, Gaza is a gladiator’s arena with Prime Minister, Benjamin Netanyahu, acting as Caesar. There is one armed resistance in the Gaza strip against Israel’s foreign funded artillery; hence it is a disproportionate war. Most of the Israeli offensives against the Palestinian Arabs have been based on biblical events, meaning that the cleansing of the Holy Land from non-Jews, by Israelis as an atonement of their previous sins is mandatory, which is a clear indication that religious fanaticism exists in both worlds. Unlike the Palestinians who have to wake up every morning to face an apartheid wall, we Pakistanis are responsible for most of the misfortunes that have betided us. We believe that being non-Arabs, we should completely abstain from intervening in foreign affairs. Any issue that is proximate to the South Asian identity should be addressed, the rest is not of our worries. Some feel that the animosity between Israel and Palestine should not cloud our judgment regarding the Jewish state, and Pakistan should remove the travel ban on Israel. Even if Pakistan clears away the restrictions, it is not like Israel will be standing on the gates with open arms, ready to embrace us. You will have to go through hours of interrogation just to get a glimpse of Jerusalem. We only adhere to our Indo-Persian ethnicity, when it comes to the international community. But one does not think twice before taking out the family scrolls, making proclamations of their linkage with the early Arabs. Yes, Pakistanis have their nostalgic moments when they assume that they are genetically related to the mighty Bedouin tribes of Arabia. From Israel to Iraq, the Middle East is a slaughter house. However, statistically speaking, more people have died in Syria’s civil war than in Palestine. And if we compare the two, there has been less hype about Bashar al-Assad’s killing spree in the country, which should have received equal condemnation. The extensive bloodshed in Syria and Gaza has created an atmosphere of bemusement. The grotesque images of unidentified mutilated bodies emerging from both sides are disorientating. But Palestinians have been singled out, while Syrians still have an option to flee to their neighbouring countries, Palestinians are stuck with a ‘no detour’ sign. As this showdown between David and Goliath continues, in Pakistan, some have unintentionally embraced the western proverb of the “Three Wise Monkeys” (not to be mixed with the Buddhist one) – the utter display of morality should be confined to only Pakistanis, the bereaved will be grieved as long as they are within our territory. The world is brewing with conflicts, but rather than comparing the extensiveness of others’ miseries with ours, we should, for the sake of humanity, show resentment towards all those acts that are regarded as reprehensible. Sure. So where in your article did you condemn the killing of Ahmedis in Pakistan? What are the Arabs themselves doing about it? Can they present a united front? Or are they going to keep playing their own games of one-upmanship? Should the world fight their battles for them? Do you know When First Israelis came in the Palestinian regions then it was late 1800s and Palestinians sold their lands at a good price but somehow everyone forgot about it. Also somehow you are confused that what role Pakistanis can actually play in any conflict. Just visit some Arabian country and see how much respect any Pakistani have and they dont want us to be a Thaikaidaar in Arab conflict at all. South Asia is the wrong word to use. It’s the Indian subcontinent. You claim to belong to this region, but don’t like to involve a country which is 80% of this “South Asia”. If you take India out of the equation, SAARC countries are just a bunch of countries who have nothing in common with each other. There is a person who stays quiet when something tragic happens in Pakistan but goes out of his mind to yell and protest when Gaza gets bombed. What is that if not hypocrisy? Yes, I love Pakistan and care about it! No, I won’t care about Gaza, Iraq or Syria until my own country is stable! Quote: We believe that being non-Arabs, we should completely abstain from intervening in foreign affairs. Reply: On the contrary, Arabs are conspicuously silent, especially in comparison to wannabe Arabs – why do you think that is so? Also didn’t understand these deep musings on genealogy at all – Indo-Persian ethnicity, ha! The Indian subcontinent and Iran are both comprised of several ethnic groups, none of which has this amazing souped-up name. Indo-Iranian is a language group, not an ethnicity. Here is a list (see below) that gives you the Y-chromosome haplogroup R1a percentage per ethnic group across several countries – you can be suitably amazed to see the wide range in Pakistan across regions and groups, and compare it with Iran, Afghanistan, and India. Note – not for the faint-hearted who believe they came over on the MbQ Mayflower. If commonality of Religion is more important, then Pakistan is an Arab state, not part of South Asia, where Nepal, Bhutan, Sri Lanka have not much to do with Arabic cultures. It’s not enough, Ms. Ansari. To set Pakistan on a course based on morality and backed by reason you actually have to apply your prescription. And that means siding with Israel and opposing Hamas and others who are out to commit genocide to destroy the State of Israel. Because that way you get the benefits all at once, in a single package, without having to equivocate and prevaricate further.